Before treating pain yourself, however, you should understand where the pain is coming from. Some sources of pain are easier to decipher: You have a tension headache after a long day at your computer, or back pain after an afternoon of raking the yard or joint pain from arthritis. Other sources of pain are not as evident, especially when you're experiencing the pain for the first time, such as knee or hip pain when you are out for a walk, or when the pain lasts longer than usual, such as a stiff neck or lower back pain that doesn't subside. In these cases, consult your health care provider to rule out or treat a possibly serious condition. For many types of acute pain, however, a number of self-care options can help. In addition to over-the-counter pain relievers, several simple lifestyle approaches also can be effective. You'll find a large selection of pain relievers at your local store. These medications — also called analgesics — control pain by interfering with the way pain messages are developed, transmitted or interpreted. Over-the-counter pain medications can be effective at relieving many types of mild to moderate pain. Some pain medications also will reduce the swelling and redness of inflammation. That bottle of pain-relieving pills in your medicine cabinet likely contains aspirin, ibuprofen (e.g., Advil and Motrin IB) or naproxen sodium (e.g., Aleve). These medications are most effective for mild to moderate pain that's accompanied by swelling and inflammation, such as arthritis, sprains and strains. However, these types of medications can have serious side effects, including nausea, stomach pain, or stomach bleeding and ulcers. Large doses also can lead to kidney problems and high blood pressure. These risks are higher for older people, especially those over 75. Acetaminophen (e.g., Tylenol) is another commonly used pain reliever. It's frequently recommended for mild to moderate pain, such as for headaches, menstrual cramps, and cold and flu aches. However, acetaminophen cannot relieve inflammation, such as what's associated with muscle aches and osteoarthritis. When taken as recommended, acetaminophen has long been believed to have a low risk of side effects. Taking higher doses, however, brings an increased risk of liver or kidney damage. This risk is higher for individuals who have existing liver disease or long-term alcohol use. 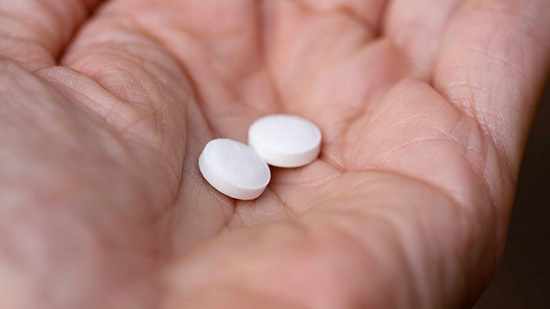 Recent research suggests the recommended dose for long-term acetaminophen use should be lowered from 4 to 2 grams a day for individuals in these populations due to the risk of liver problems. Topical analgesics are creams, gels, sprays and patches that are applied to the skin at the area where you feel pain, such as on painful joints or strained muscles. Topical pain relievers, such as diclofenac (e.g., Voltaren and Solaraze) and salicylates (e.g., Bengay and Icy Hot) can reduce mild to moderate pain without serious side effects, in part because they are applied locally instead of being circulated through the body. They often are recommended for older people who have a greater risk of side effects from oral pain relievers. Sometimes relief can be a frozen bag of peas or a hot bath. This is because applying heat and cold often can ease joint pain, back strains, neck pain and other types of pain. Cold numbs pain by causing blood vessels to constrict, which reduces swelling. That's why, when you experience an injury — whether it's a bee sting or a sprained ankle — icing is often a good first choice. You can use an ice pack or a bag of frozen vegetables, or you can submerge the affected area in a container of ice water. Heat, on the other hand, is a muscle relaxer. Heat loosens tense muscles, which relieves pain. Heat also increases blood flow to an injury, which promotes healing. Sources of heat can be a heating pad or a warm bath. Simply applying heat or cold often doesn't completely resolve pain. It's more likely to lessen its severity and reduce inflammation. But, in many cases, a heating pad or ice pack can be applied in addition to other pain treatments, such as analgesics, to increase the chances of relief. Find more health and medical information on mayoclinic.org.